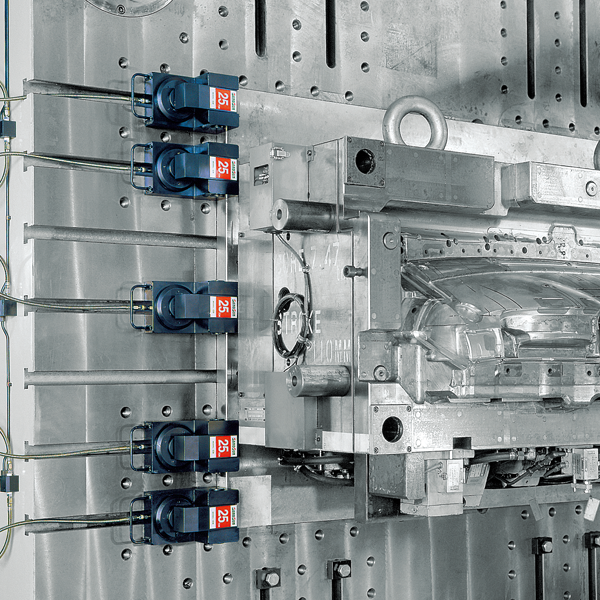 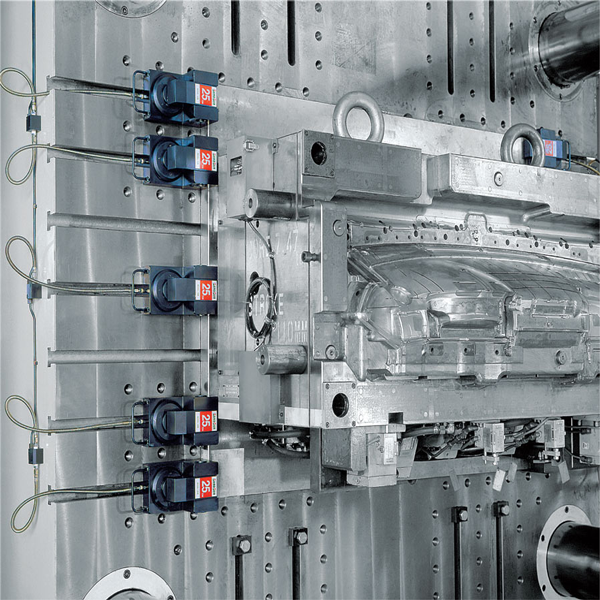 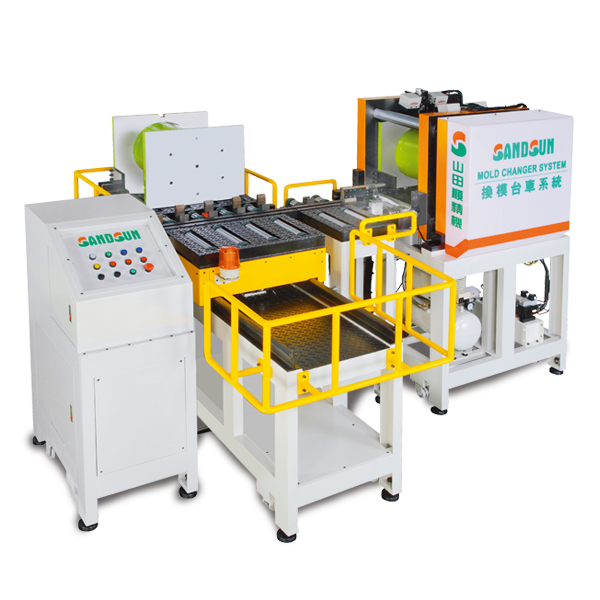 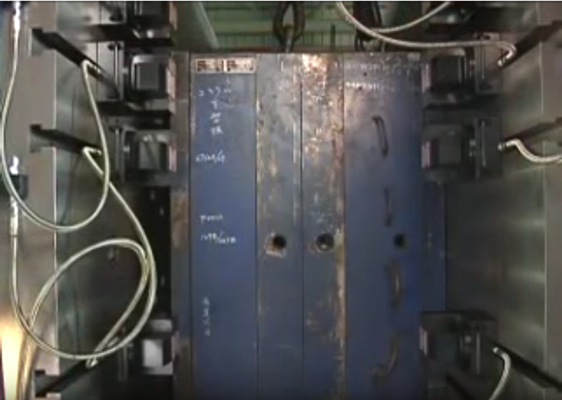 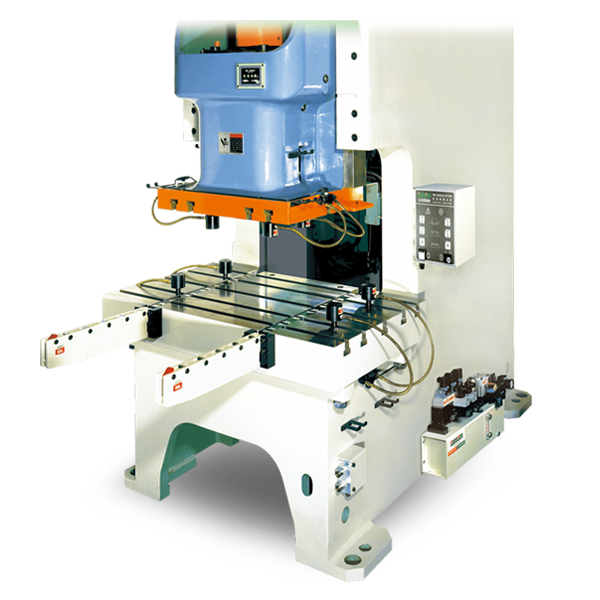 It is an era for making high frequency mold change with multiple patterns and small quantity. 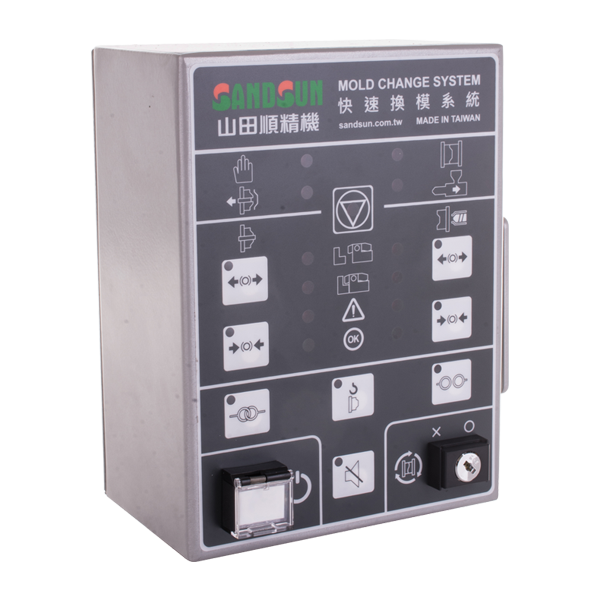 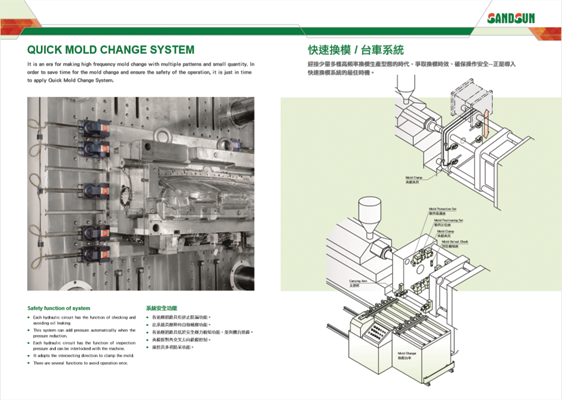 In order to save time for the mold change and ensure the safety of the operation, it is just in time to apply Quick Mold Change System. 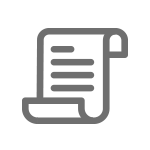 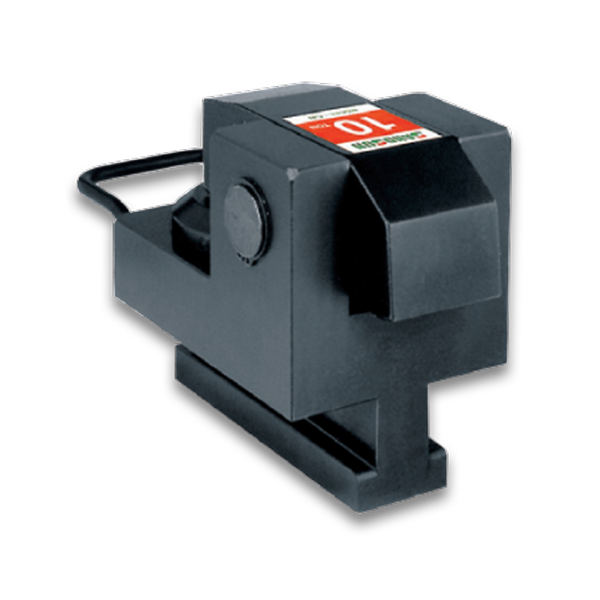 Each hydraulic circuit has the function of check and avoiding oil leaking. 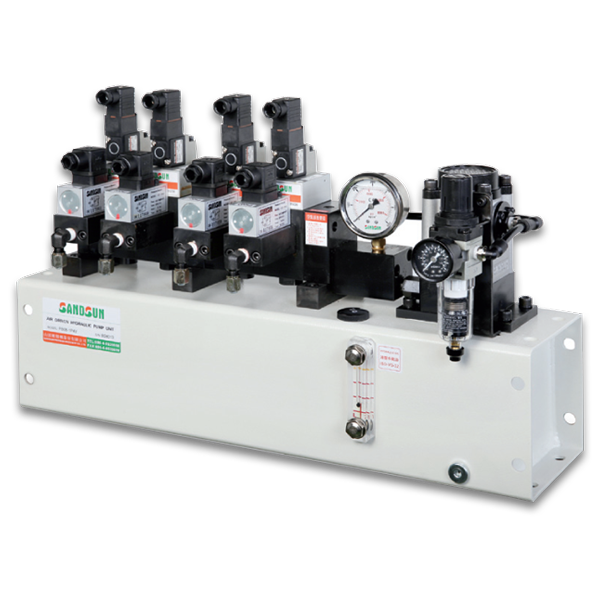 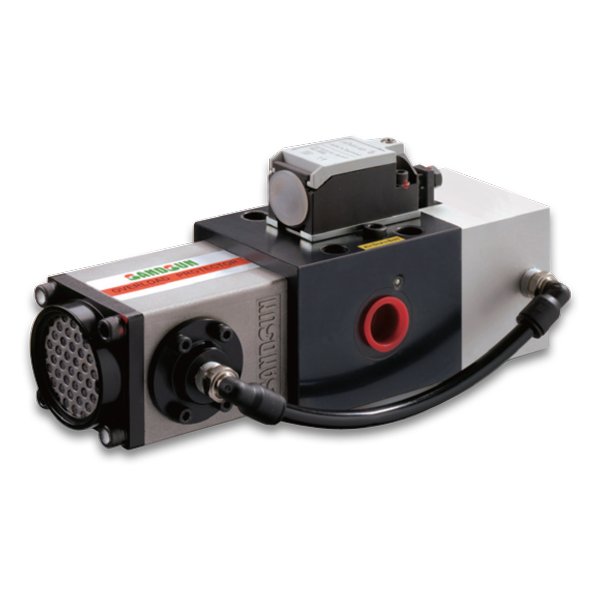 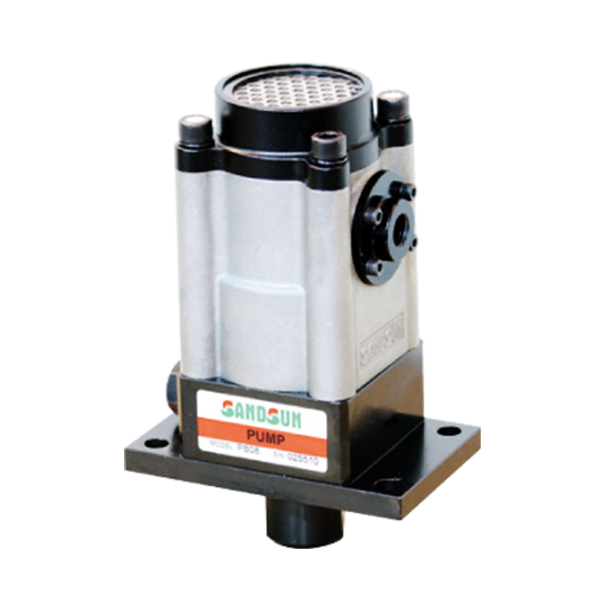 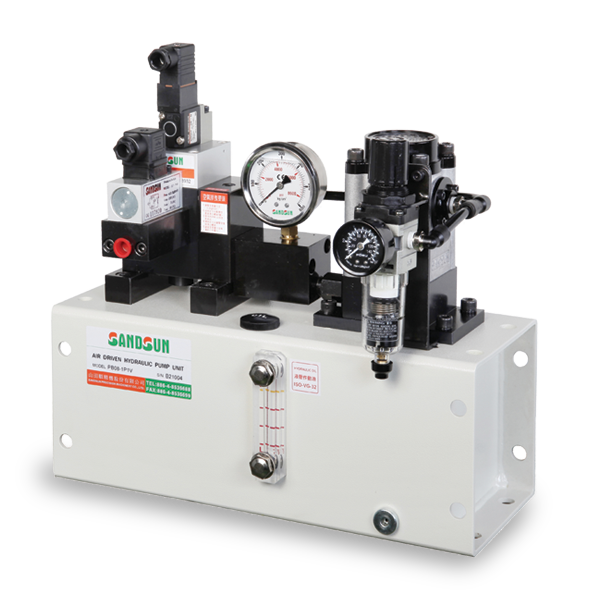 This system can add pressure automatically when the pressure reduction. 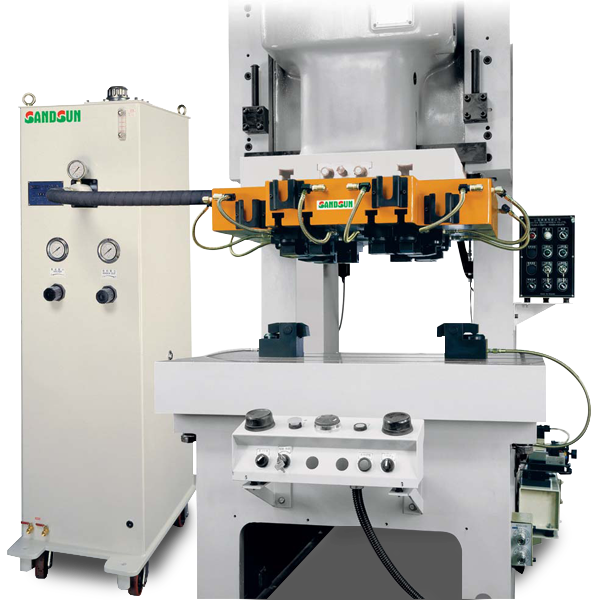 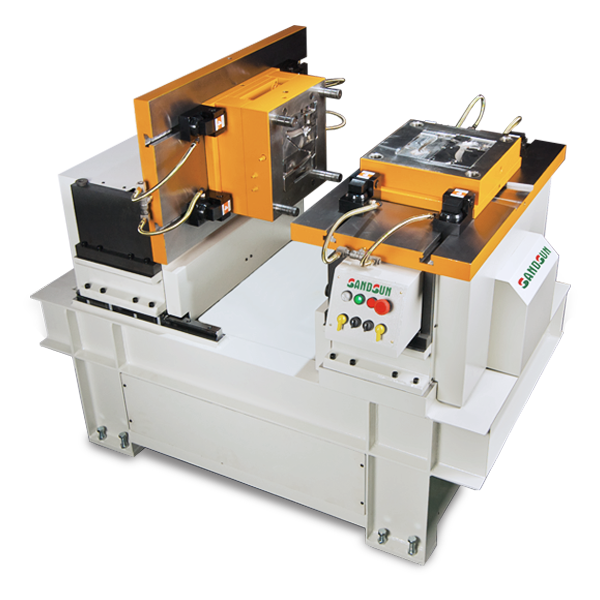 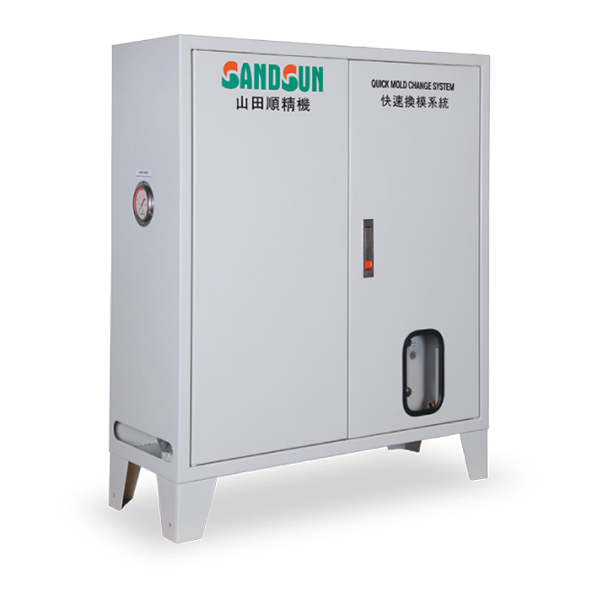 Each hydraulic circuit has the function of inspection pressure and can be interlocked with the machine. 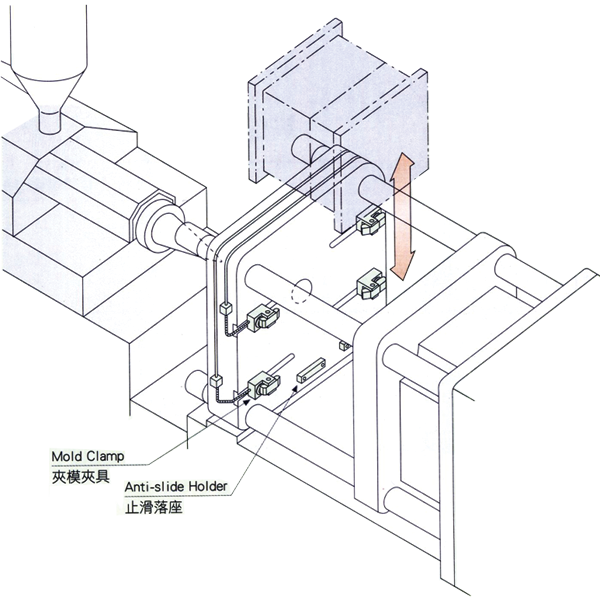 It adopts the intersecting direction to clamp the mold. 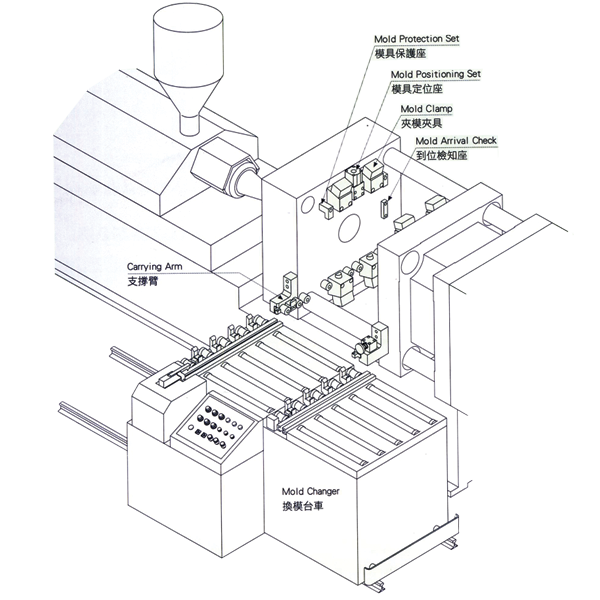 There are several functions to avoid operation error.